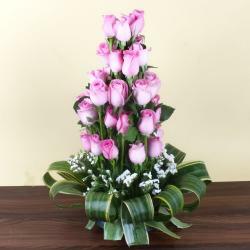 Product Consist : 15 Mix Roses arranged in a Handle Basket. The rose has, since long, been the flower of love and passion. Used for centuries to convey messages in secret, it is also the symbol of confidentiality. 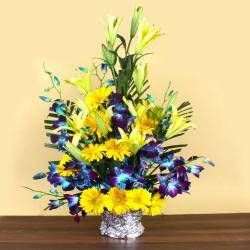 Different colors have different meanings: red signifies passion and yellow are for joy. 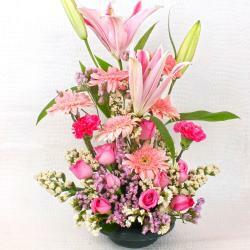 By putting them together, what is created isn't only a beautiful and stunning flower arrangement, but a message of love, gratitude, joy and warm wishes. 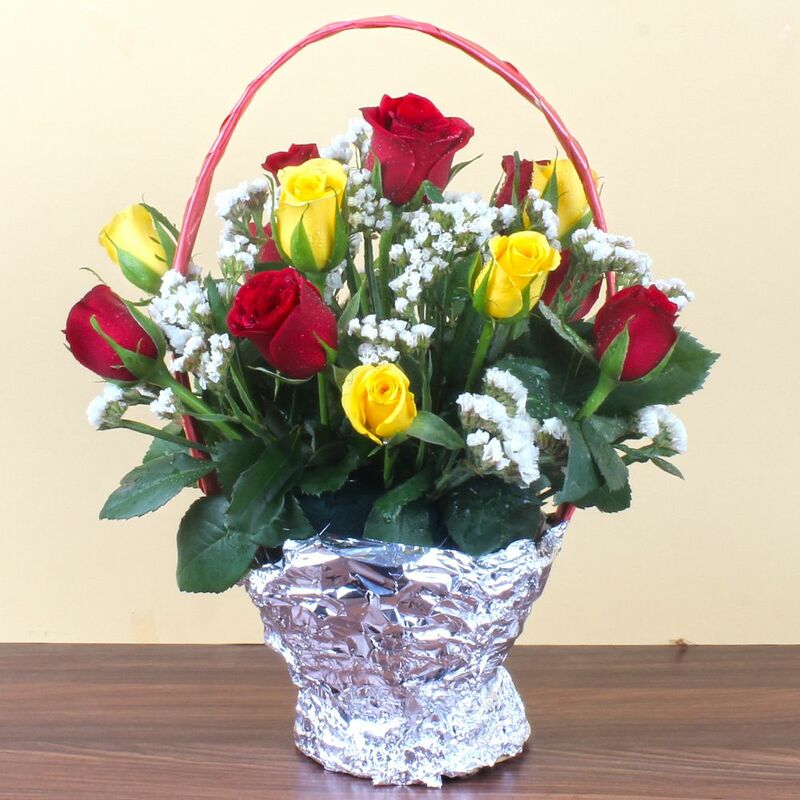 The arrangement is done in an artistic manner, which makes it a perfect gifting option for your loved ones- is it any special occasion or a random gesture of your affection. 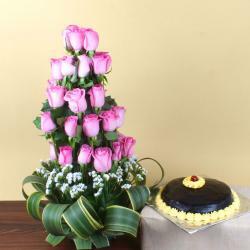 So go ahead and send your message of love through Giftacrossindia.com. 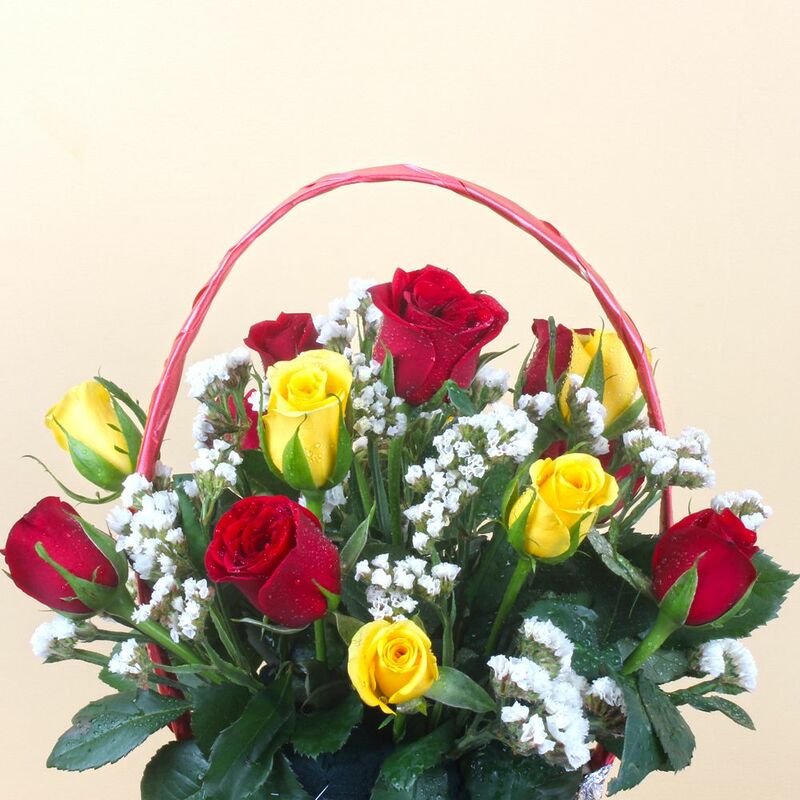 Product Consist: 15 Mix Roses arranged in a Handle Basket.